We recently had Sally, a Queenstown local, out on tour with us. Sally works for the Everything Travel Group and came out with her mum and aunty who were on holiday from the UK. 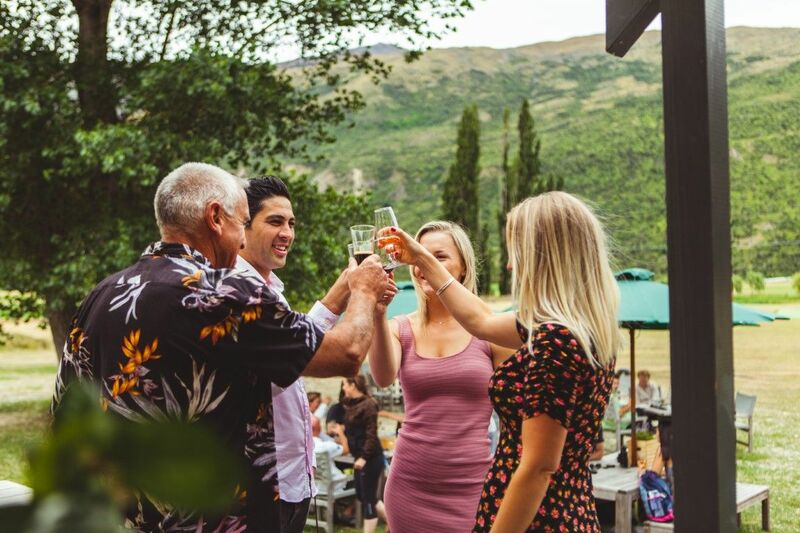 Here’s Sally’s insight into the Queenstown Twilight wine and craft beer tour. Altitude: Hi Sally, thanks for coming out with us yesterday. How did you find your afternoon with us? Sally: Thank you for having us, we had an absolute blast! It’s a rare occasion that I actually remember what I learnt on a wine tour and this was accomplished whilst sampling a generous amount of world class wines AND beers. We also met an awesome group of people who we continued to indulge with at Little Blackwood, after the tour. It was a great day! Altitude: That’s always lovely to hear. What was the average age of your group and did you feel as though you, your mum and aunty fitted with the demographic? Sally: It was actually surprisingly varied with individuals, couples and groups of friends between the ages of 20-60. The conversation flowed much like the drinks and it was a really sociable tour. Altitude: So what was your favourite part of the experience? Sally: I loved our first stop, Waitiri creek, for the incredible setting; an old church with a stunning mountainous backdrop. It was really special and they had set out a variety of garden games for us to play whilst indulging in a mixture of both wines and beers that we got to choose. Altitude: Great to hear. Waitiri Creek is one of our favourite stops too! Could you tell us a bit about your guide, Heidi and how she helped shape your tour? Sally: Heidi was so much more than driver on this tour and really was part of the group, sharing her impressive, local knowledge of the region, wine and beer. She really helped to make the experience what it was and provided us with both laughter and water; necessary touches. Altitude: You have been on the Wine Sampler tour too before, so which did you prefer and why? Sally: I genuinely love them both, but would say if time is of the essence the Twilight tour is your best bet, so you can fit in a hike, skiing or another activity in the morning. If you have the time though or are a real wine connoisseur, the Sampler tour is the one for you. Altitude: Would you recommend Altitude Tours to other people visiting Queenstown? Sally: 100%, it’s one of my favourite tours in Queenstown. The Altitude Twilight Tour has got the perfect balance of food, wine, facts and laughter. My mum and aunty were so impressed too and it was a refreshing change from the old fashioned wine tours they have done before, with the welcome added twist of beer too!